Home › Church › Church and State: What is the Church for? Church and State: What is the Church for? 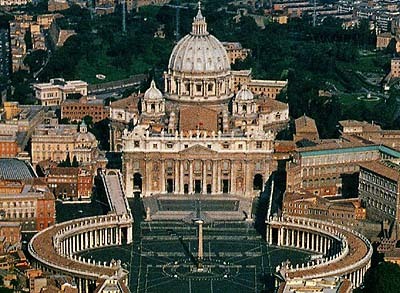 The Roman Catholic Church: What is its New Role to be? I was asked a question recently about the role of the church – in particular the Roman Catholic Church – and how it could be reinvigorated. What is it missing, my interlocutor asked, in order to connect? The discussion led to some interesting thought connections. In the first instance, there appears to be a question about what role the church truly played in social structures – relative to the state – in more ‘successful’ times. In truth, it appears that the Church served as a quasi-state structure. Bob Neuwirth‘s 2011 book on The Stealth of Nations looked at informal economies and structures. We’ve discussed informal economies this on this blog before, but also informal justice systems. That concept was about current day emerging countries, but if we go back fifty, one hundred years, there were limited formal state structures as we understand them today even in Western developed economies. Police forces are a relatively recent innovation, and in their earliest days they were sporadic at best. Hospitals and schools run by the state are similarly – broadly speaking – an innovation of the twentieth century. Before that, disputes were often resolved by community leaders – priests – and healthcare and education, such as it was, was provided by Churches. Whatever the Spiritual function, the practical matters of social organization were arguably far more important. Before that – pre-French Revolution – it could be argued that the Church was more interested in state formation, and preoccupied itself with the distribution of power and higher learning (an aristocratic pastime). So in a sense, the Church has been in the vanguard of social infrastructure. First in establishing post-Westphalian States; then (after the French Revolution) in the establishment of democratic infrastructure for the masses – schools and hospitals in particular. The question then becomes – what is their next role? Over the past fifty years with the establishment of the welfare state, they have been increasingly marginalised, usurped by the very States they helped to create. Another way to think of it is that over the last three or four hundred years, the Church has moved down through the classes. From the nobility in medieval times; to aristocracy in the seventeenth century; to the haute-bourgeoise in the late eighteenth century; to the petite-bourgeoise in the nineteenth century; to the poor in the late nineteenth and early twentieth century; and to the third world in the late twentieth century. Therefore a question may be asked: who are a lower class than the poor of “the third world”? For that appears to be the pattern. Maybe the church needs to champion the cause of the losers in global inequality. Perhaps the church can lead the fight against global warming. There could be a role in defending against possible techno-tyranny, be it biological or data. There is something too in reconstructing the community infrastructure that has been lost by the Church as it has lost its authority; while the State has established itself as the provider of secular healthcare and education, it has not replaced the community structures that also disappeared. These community and civil society structures were, however, a by-product of the authority the church claimed: they were not its raison d’étre. Therefore if the church is to have a role in rebuilding community, it needs to be in the context of a bigger message – such as inequality, global warming, or technology challenges.